Some of you have already noticed and some of you probably didn’t even know we have some awesome forums where you can discuss all things T-Mobile. The forum has been down for the better part of the day and our apologies for that. Our forums are hosted by Amazon’s cloud service and they have been experiencing issues throughout the day and we are awaiting their fix to implement our own. 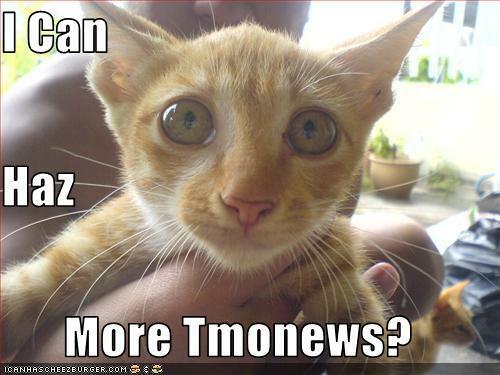 I sincerely apologize for anyone currently experiencing TmoNews forum withdrawal! Love the kitty, too cute! 5 Guys Burgers and fries. Cloud, huh? Yet another reason to dislike the whole cloud idea. Reliability of networks and server. Weeeee ha! Who remembers the days when MCI want to do a thin network appliance and wanted all of your applications and data to run from a server? iev been reading that the g2x doesn’t work on att$t 3g bands is this true ? The last thing I need is another web forum to hang around in. But I wholeheartedly support both the cute kitten and Five Guys! Yeah! The forums site is back!!!!!!!!!! !